Taxes were raised one cent per $100 of assessed property value, meaning an average tax increase of $40 a year for the average homeowner. The Voorhees Township Committee introduced the 2017 municipal budget and other community related expenditures at its most recent meeting. According to township administrator Larry Spellman, the budget includes a one-cent tax rate increase per every $100 of assessed home value. This results in approximately a $40 per year increase for the average homeowner, and breaks down to approximately $3.33 per month. The municipal budget will be up for public hearing and vote April 24. Some of the township’s expenditures come in the form of an ambulance, a fire truck and other fire department gear. These expenditures come in light of the township recently taking over its fire district. A resolution authorized the expenditure of funds to purchase a fire truck that had previously been leased. The township joined a national consortium to purchase fire trucks. Because the township previously leased the $220,000 fire truck, it was able to be purchased for $100,000. • The township proposed taking over two four-foot gaps in unassigned property at 620 Berlin Road behind the old municipal building. Spellman said when the property was assigned decades ago, it left two gaps on each side of the property of “no man’s land” that had no official ownership. “This was before GPS,” Spellman explained. 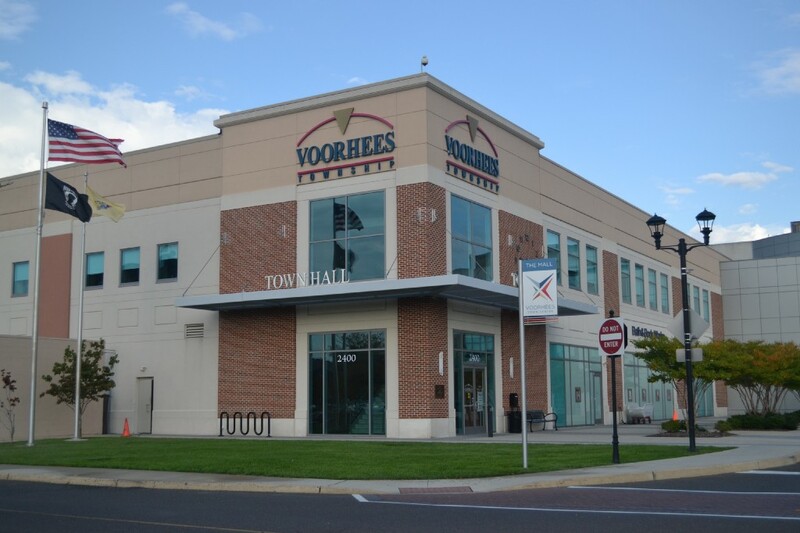 • The Voorhees Township Police Department is in the process of becoming accredited by the state. Currently, insurance and tax companies are paying for the department. Once it gets accredited, the township will be paid back. • The township has expanded its pool of part-time Emergency Medical Technicians available at all times. Spellman said there were no budget ramifications with this expansion. • Chai Respes was appointed to the position of director of personnel. Dianna “Dee” Ober was reappointed to her position of municipal clerk pursuant. • After more than a year of negotiation, the public works department will again become an association instead of being as a union. The contract has been negotiated since it expired in December 2015, and was officially approved at the meeting. The contract will last until 2018.